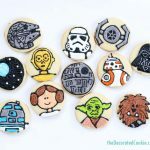 Gather ’round all ye Star Wars fans. I have something awesome for you. That’s right. 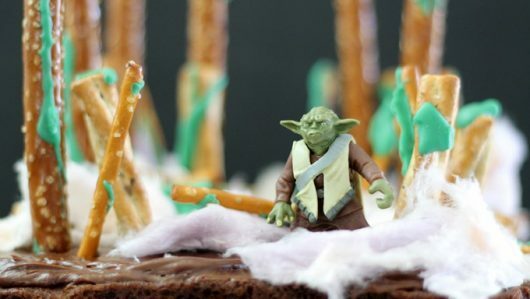 You can re-create the Dagobah System (the dreary, isolated planet of mist, mud and swamps, home to Yoda, and the site where Luke irritably learns to control the Force–or not–from his Jedi Master) on brownies. 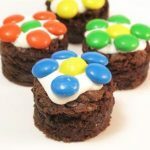 On brownies. 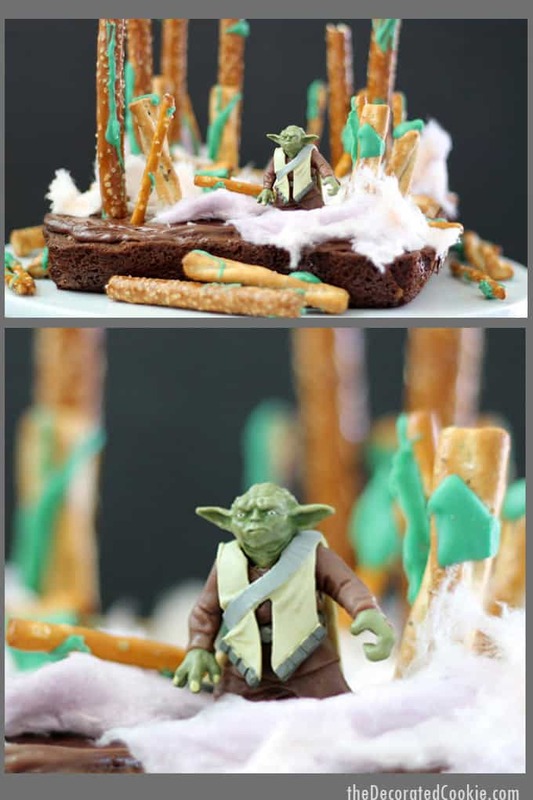 Star Wars brownies. And it’s easy, I promise. 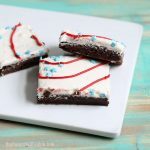 Bake your favorite brownies. Spread some chocolate frosting for the mud, cotton candy for the fog, pretzels for the trees and some green candy melts for the moss. That’s it! Oh, and the Yoda figurine. 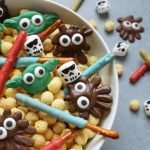 Bonus points for Luke Skywalker and his X-wing. 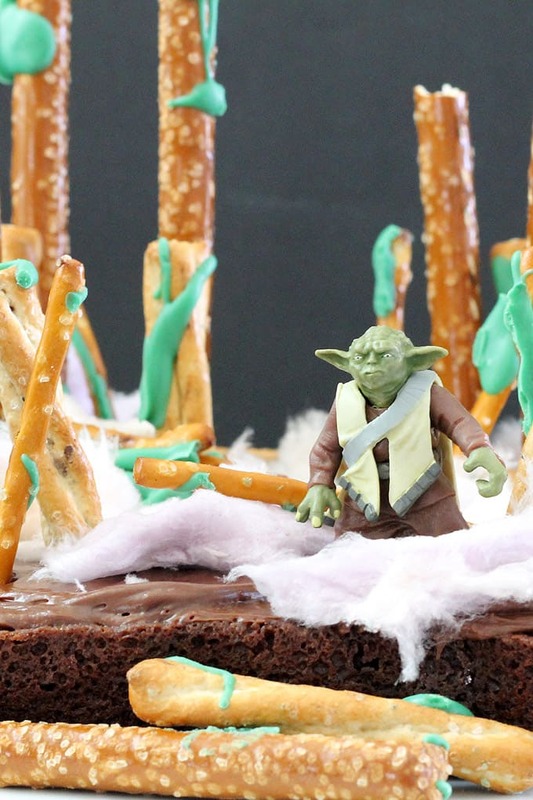 Find the how-tos to make Dagobah System brownies HERE.